Housed along Coventry Street in a former burlesque club, the restaurant has been renovated with a light brown and pink scheme, coupled with cosy furnishings and elegant silverware: intimate but classy at the same time. Dining areas are divided into the front, where guests can watch the chefs in action at the open kitchen, and the comfy atrium at the back with its potted plants and glass skylight. We opted to sit at the front. 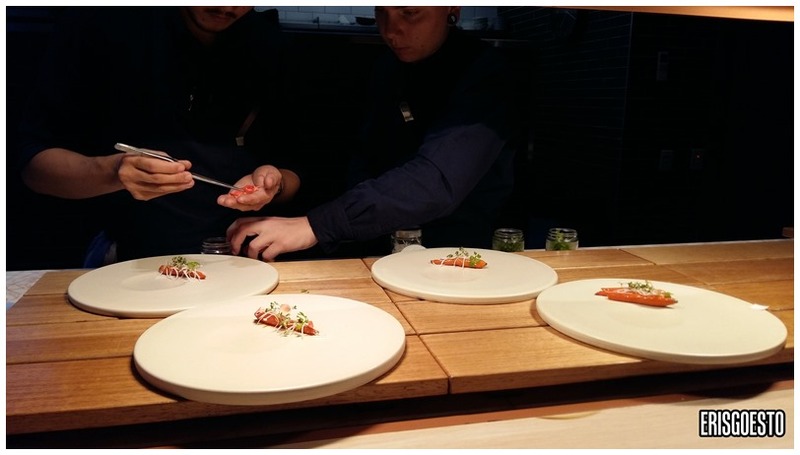 Chefs plating bite-sized platters with delicate accuracy. 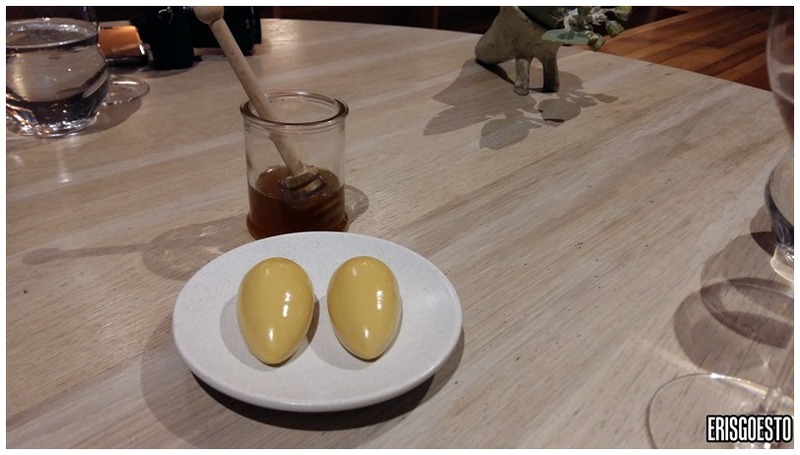 There are currently two degustation menus at Lume, although this is subject to change: An Incitation ($140), a seven course menu served Tuesday to Friday evenings and for Saturday lunch, as well as The Road ($210), which has 14 items and is served from Tuesday to Saturday evenings. To kick off our (very long) meal, an entree of Sea Corn Taco. 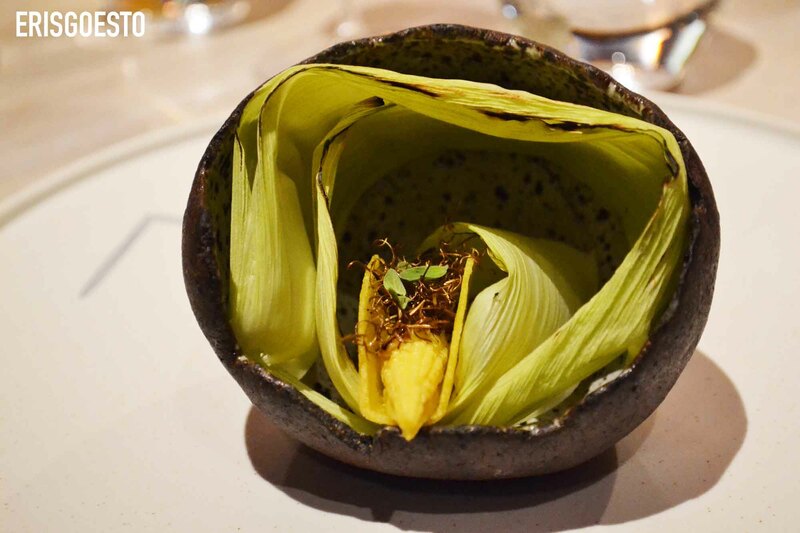 Beautiful presentation aside, the delicate taco was crisp and very thin, with a custard deceptively made into a corn shape but was actually crab, topped with bronze-coloured fried corn silk. One of their signature appetisers, the aptly named Pearl on the Ocean Floor was a wonderful visual feast, like a manicured garden at the bottom of the seabed. 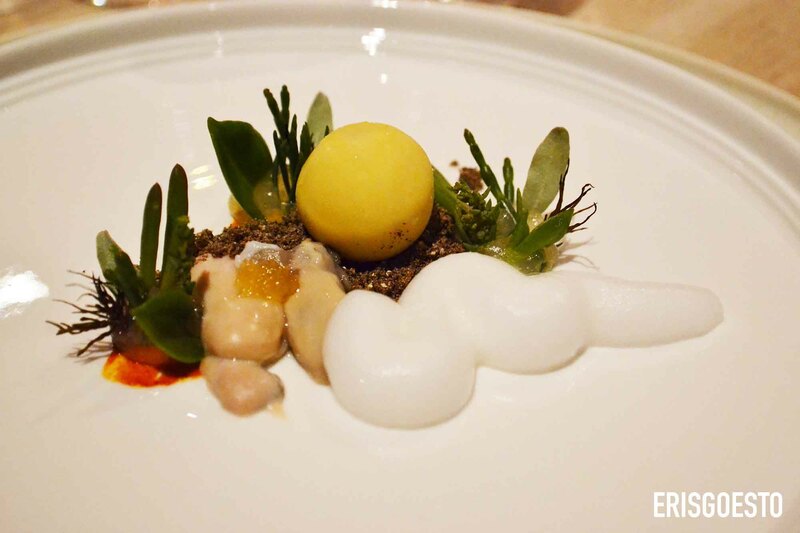 Combining earth and sea, the ‘pearl’ was a ball of cocoa butter on sesame-flavoured sand, flanked by a plump raw oyster and frothy white mussel foam forming a ‘wave’ on the side. It was interesting blend, but not my cup of tea as I felt the flavours didn’t gel well together. Next came carrot honey and calamari in bergamot marmalade, easily one of my favourites of the night. After the complex appetizers, this was surprisingly simple but full of flavour. 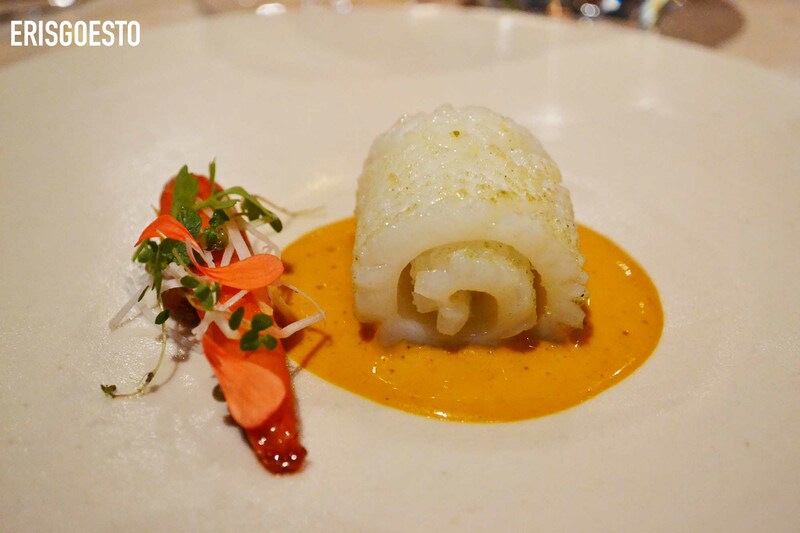 I liked the freshness and texture of the squid in the creamy marmalade sauce, which complemented the sweet lightness of the glazed carrot. 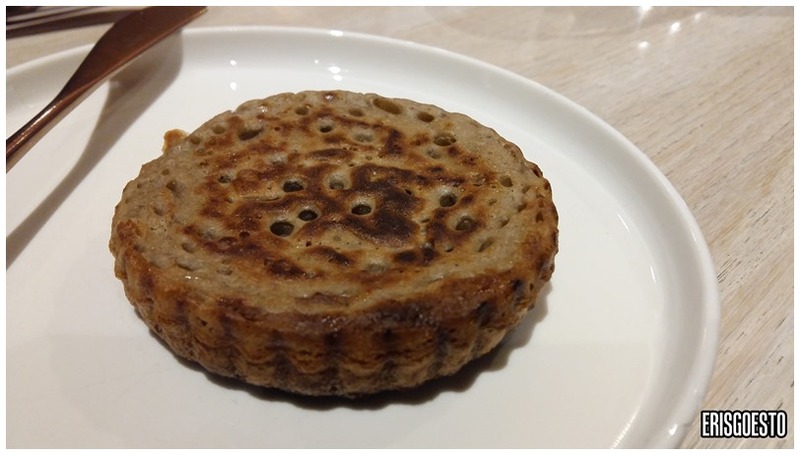 The Jerusalem artichoke crumpet and eel honey was a pleasing break before our mains. The name made me think it was going to be savoury, but the dish turned out to be a fluffy cake with a slightly salty spread and thick, viscous honey. Great combination of flavours. 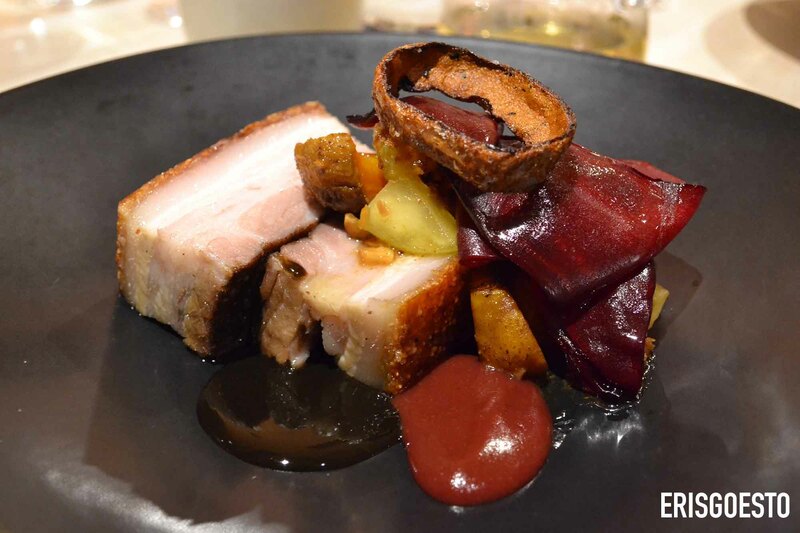 The Pork Belly cooked in onion oil, golden beetroot and smoked miso was the only disappointing dish of the night. The belly was fatty on its own, but when drenched in onion oil, made for mouthfuls of grease with every bite. Barbecued abalone with emu ham and kombu was another winner. 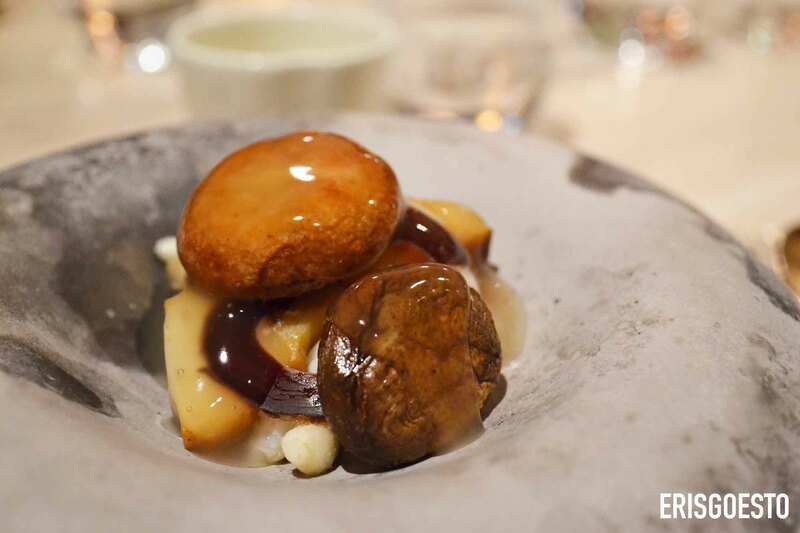 The abalone was fresh and meaty, cooked in a savoury dashi sauce, with thin slices of cured emu ham and mushrooms. 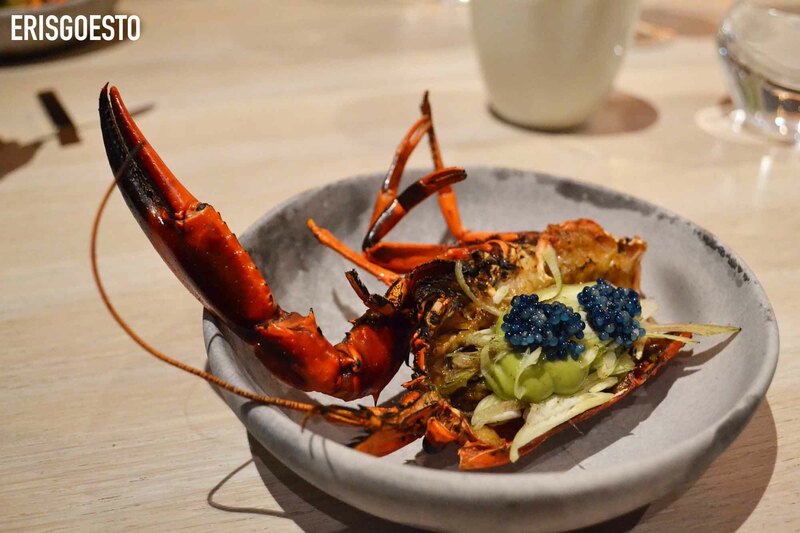 Marron head with Japanese Ginger and Wild Scampi Roe was served in a vivid explosion of colours – bright orange, slightly charred shell, white and meaty flesh topped with sapphire-blue roe. Tastewise, the meat was sweet and refreshing, with a smokey aftertaste from the grilling coupled with salty roe that popped and exploded in my mouth. Last but not least, we ended the meal with Berry Pavlova, fig leaf and quandong, which had a nice balance of sour and sweet. 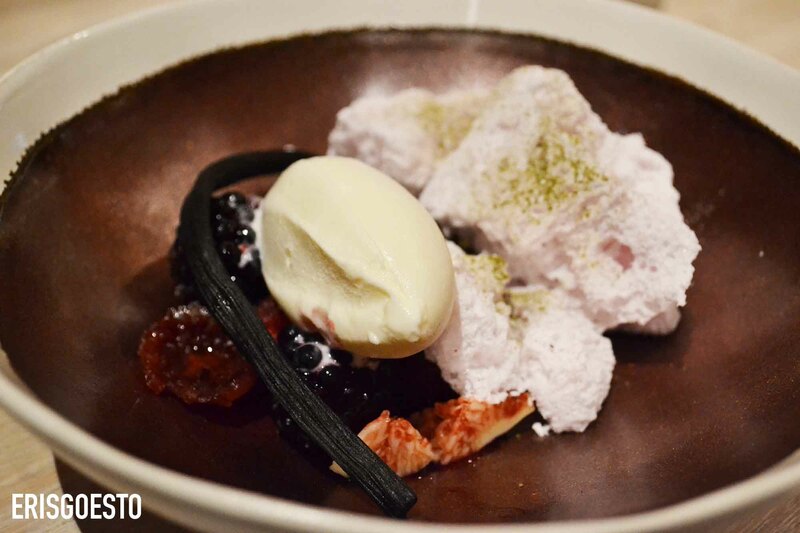 The pavlova was the highlight of the dish, with a soft, airy texture that melted on the tongue like spun sugar, while the sweet ice cream was creamy and rich without being cloying, thanks to the sourness of the berries. 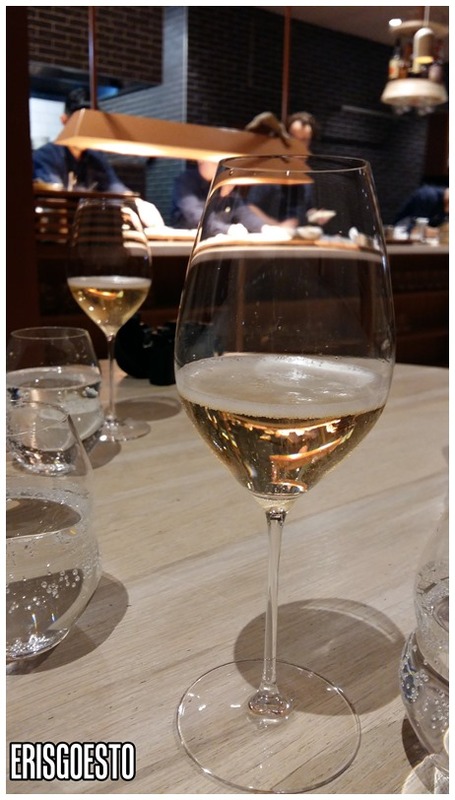 It was close to 11.30pm when we finally finished our meal – a total of 3 hours. 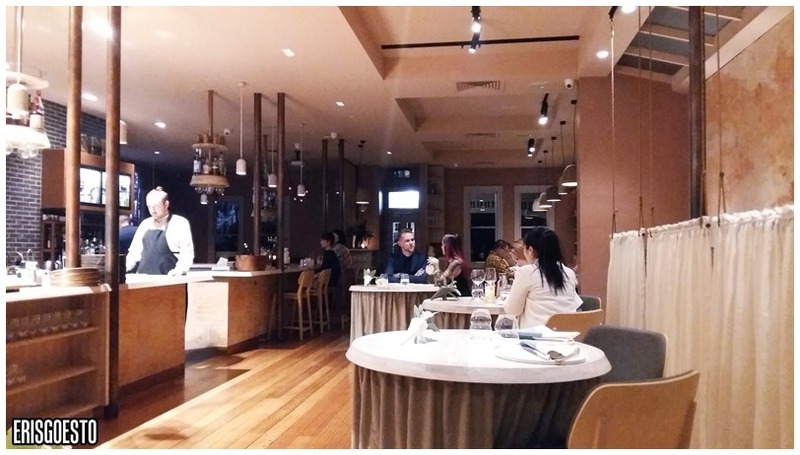 If you’re good with the wait, Lume is an experience you should try while touring the fine dining circuit in Melbourne for its innovative creations, quality food and attention to service. Operating hours: Saturdays (11.30AM-2PM, 5.30PM-11.30PM), Tuesdays – Fridays (5.30PM-11.30PM). Closed Sun-Mon.